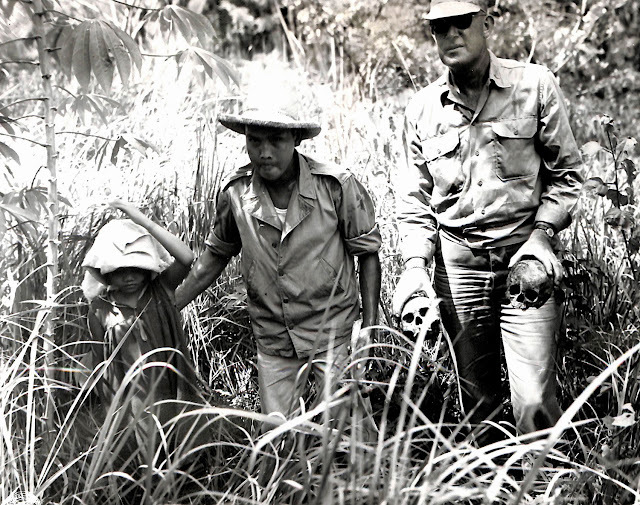 Likely a US Army war crimes investigator at a shallow grave in Lipa in 1945. Image source: United States National Archives. In a previous article, Batangas History already featured some atrocities committed in Batangas towards the end of the Japanese occupation which were contained in the Bill of Particulars used to charge the Japanese General Tomoyuki Yamashita with war crimes. The details of these crimes were as cited in a book written by one Lt. Colonel Aubrey Saint Kentworthy in 19541. During the month of November, 1944, in the town of Lipa, Batangas Province, brutally mistreating, torturing, and killing, without cause or trial, eleven (11) members of the Armed Forces of the United States of America, then held captive as prisoners of war by Armed Forces of Japan. 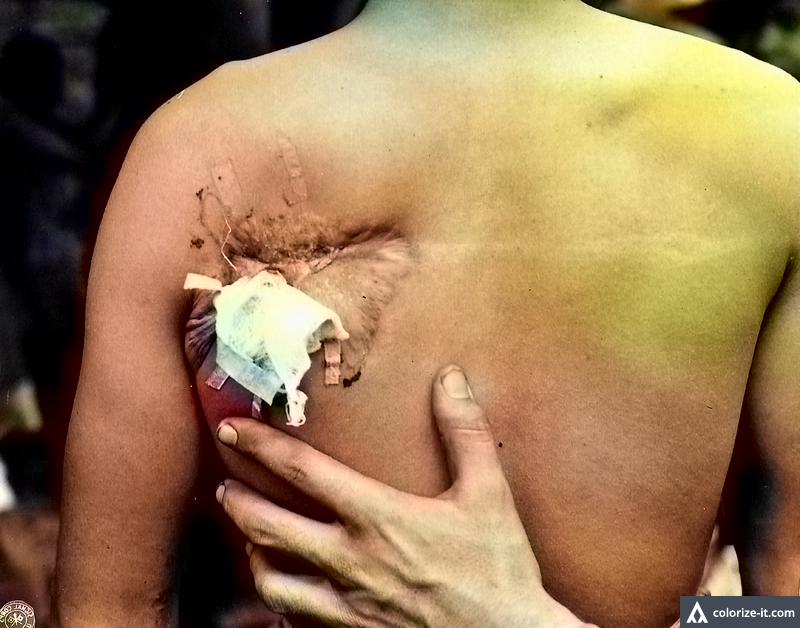 On about 28 February 1945, at the Town of Bauan, Batangas Province, brutally mistreating and subsequently massacring and killing without cause or trial, Enrique Martinez, Maximino Brual, and more than 400 other persons, including men, women and children, all unarmed noncombatant civilians; brutally mistreating, wounding and attempting to kill, Dr. Francisco Manigbas, Gemeniano M. Brual, and more than 100 other persons, all unarmed noncombatant civilians; and pillaging, unnecessarily and wantonly devastating and destroying public, religious and private property. During the period from 16 February 1945 to 18 February 1945, both dates inclusive, at the Town of Taal, Batangas Province, brutally mistreating, massacring and killing, without cause or trial, Benjamin Morano, an infant 1 year of age, Andres Briones, Alberto Martol, Pablo Marasigan, Dalmacio Luna, Concordia Barrion, Alicia Barrion, together with more than 2,000 other men, women and children, all unarmed noncombatant civilians; in the barrios of San Nicolas and Sinturisan, pillaging and unnecessarily, deliberately and wantonly devastating, burning and destroying all houses and other buildings. 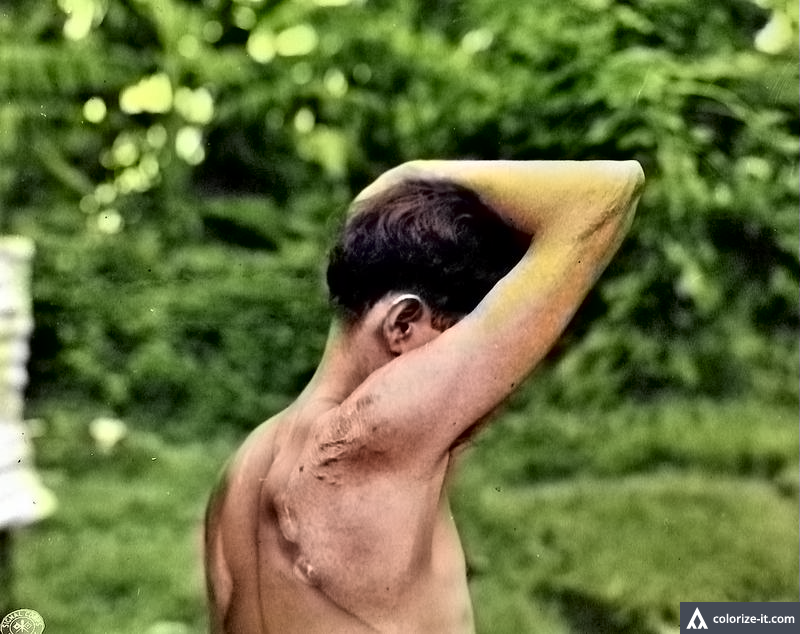 Man with deep bayonet scar on his back, Taal, Batangas, 1945. Image source: United States National Archives. On about 19 February 1945, in the Town of Cuenca, Batangas Province, brutally mistreating, massacring and killing Jose M. Lague, Esteban Magsomdol, Jose Lunbo (Limbo? ), Felisa Apuntar, Elfidio Lunar, Victoriona Romo, and 978 other persons, all unarmed noncombatant civilians; pillaging and unnecessarily, deliberately and wantonly devastating, burning and destroying large areas of that town. On about 20 February 1945, at the town of San Jose, Batangas Province, brutally mistreating, massacring and killing, without cause or trial, Vinancia Romo (Remo? ), Vincente Frank (Frank Vicente? ), Jose Talog, Roman Umali, and more than 500 other persona, all unarmed noncombatant civilians; pillaging and unnecessarily, deliberately and wantonly devastating, burning and destroying large areas of that town. On about 19 February 1945, at the Town of Mataasnakahoy, Batangas Frovince, brutally mistreating, massacring and killing approximately 200 men, women and children, the names of whom are not yet determined, all being unarmed noncombatant civilians; pillaging and unnecessarily, deliberately and wantonly devastating, burning and destroying large areas of that town. During the period from 16 February 1945 to 19 March 1945, both dates inclusive, at the Town of Santo Tomas, Batangas Province, brutally mistreating, massacring and killing Paz Austria, Adelaida Castro, Caladia Cabrera, Rodolfo Talad, and more than 1,500 other men, women and children, all unarmed and noncombatant civilians; pillaging and unnecessarily, deliberately and wantonly burning, damaging and destroying all public buildings and private homes. During the period from 16 February 1945 to 19 March 1945, both dates inclusive, in the town of Lipa, Batangas Province, brutally mistreating, wounding and killing, without cause or trial, Ricardo Caringal, Francisco La Torre, Pedro La Torre, Sovero (Sofero?) Lubrica, Santiago Limatok (Linatoc? ), and more than 12,000 other men, women and children, all unarmed noncombatant civilians; and pillaging, deliberately, and wantonly and without military necessity devastating, burning, damaging and destroying public and private buildings and property, including property devoted to religious purposes. On about 10 February 1945, in the town of Tanauan, Batangas Province, brutally mistreating and killing, without cause or trial, 500 unarmed noncombatant civilians, and deliberately and wantonly and without military necessity devastating and destroying public and private property. On about 13 March 1945, at the town of Rosario, Batangas Province, massacre and killing, without cause or trial, of Lorenzo Masilungan, Sakeo Tolentino, Marcela Tolentino, Ilias Garcia, Saturnina Barcelos, and more than 45 other persons, including men, women and children, all unarmed noncombatant civilians; and pillaging and unnecessarily and wantonly devastating and destroying public, religious and private property. 1 The book was entitled “The Tiger of Malaya: the Story of General Tomoyuki Yamashita and ‘Death March’ General Masaharu Homma,” by Lt. Col. Aubrey Saint Kenworthy, published 1953. 2 The Bill of Particulars as written by Major Kerr was included as part of the appendix of a thesis entitled “In Re Yamashita,” by Alston Shepherd Kirk, dated May 1974.